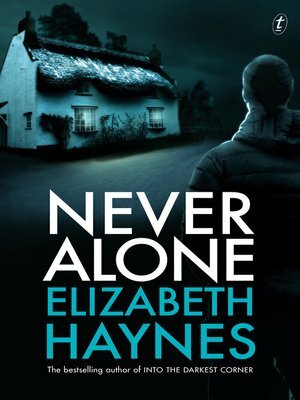 Elizabeth Haynes' new psychological thriller is a brilliantly suspenseful and shocking story in which nothing is what it seems, but everything is at stake. Sarah Carpenter lives in an isolated farmhouse in North Yorkshire and—following the death of her husband some years ago and the departure of her children for university—for the first time she's living alone. But she's not lonely. She has two dogs, a wide network of friends and her best friend, Sophie. When an old acquaintance, Aiden Beck, needs somewhere to stay for a while, Sarah's cottage seems ideal; and renewing her relationship with Aiden gives her a reason to smile again. But not everyone is comfortable with the arrangement: her children are wary of his motives, and Will Brewer, an old friend of her son's, seems to have taken it upon himself to check up on Sarah at every opportunity. Then Sophie disappears, and, as the weather closes in, events take a dramatic turn. Suddenly Sarah finds herself in terrible danger, unsure of who she can still trust. But she isn't facing this alone; she has Aiden, and Aiden offers the protection that Sarah needs. Doesn't he? Elizabeth Haynes is a former police intelligence analyst who lives in Norfolk with her husband and son. Her first novel, Into the Darkest Corner, was Amazon's Best Book of the Year 2011 and is a New York Times bestseller. It has been published in thirty-seven countries. Her second novel, Revenge of the Tide, was published in 2012 and her third, Human Remains, in 2013.